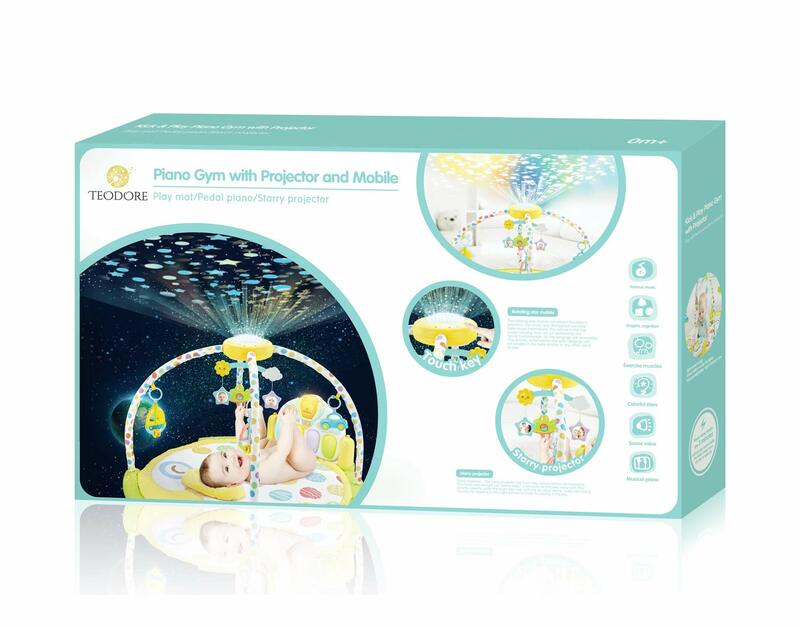 Piano Gym with Projector and Mobile – Extra Soft Large Activity Play Mat for Newborns and Babies play gyms are incredibly versatile products. They can be used in a variety of ways, promoting multiple developmental stages. Like most gyms, this Piano Gym with Projector and Mobile includes a variety of engaging objects, supporting multiple styles of play. 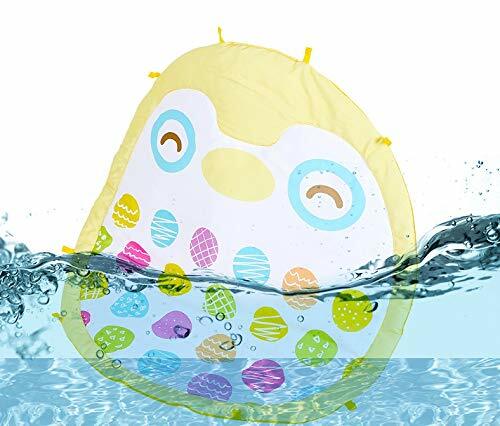 By targeting different modes of play, the baby gym provides benefits in the areas of cognition, visual perception, grasping & reaching skills, motor skills, self-awareness and sensory awareness. 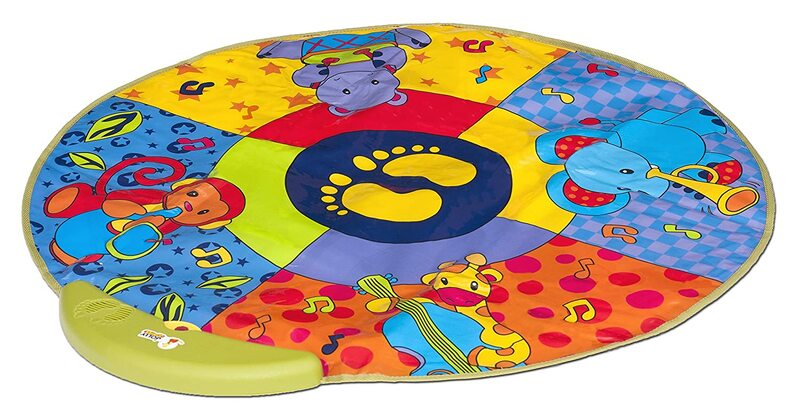 • Kick and Play Piano The deluxe activity mat and gym includes a kickable piano that rewards infants with different music for each of the piano buttons. The individual keys light up and there are four musical settings to choose from. As your baby progresses from lay & play to tummy time, you can change the music and learning settings to support their needs. 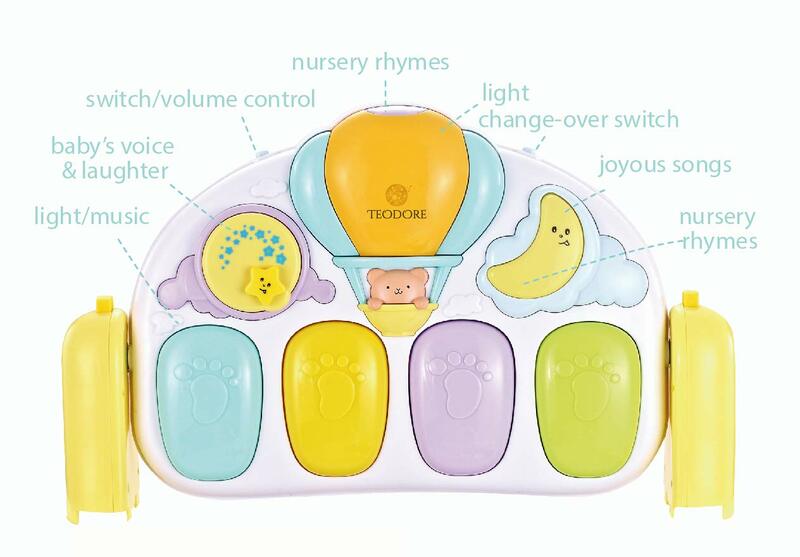 The keyboard can even be detached for musical learning and play on the go. 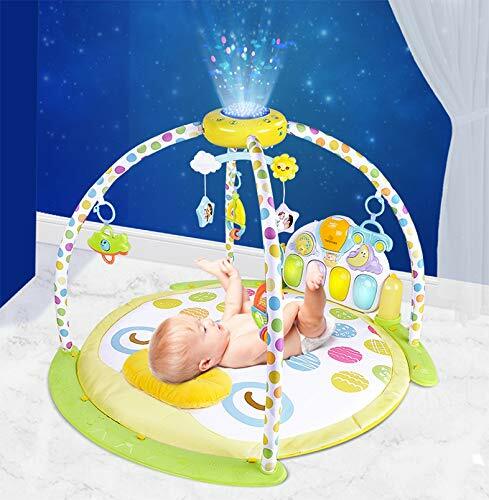 • Starry Night Sky Projector The star night musical projector fills the room with stars and moonlight, helping your baby to relax and fall asleep faster. 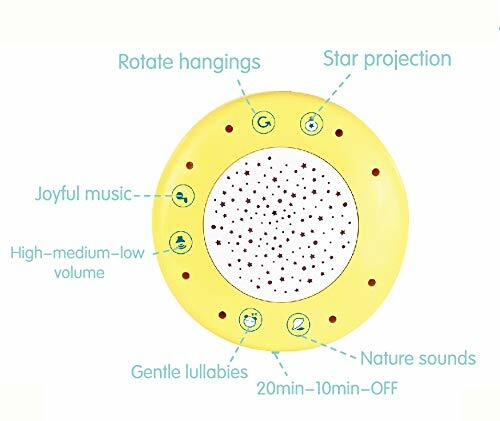 The subtle light helps them to feel safe and secure, while adjustable sleeping music helps them to drift off. Music can be turned off and on simply by touching the projector. The projector has a timing function to promote sleeping at night, along with a joyful mode for play during the day. 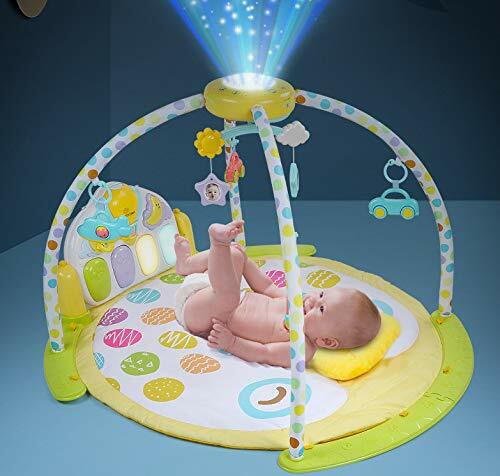 • Rotating Star Mobile The play mat also features a mobile to help with sleep and promote reaching movements. The mobile slowly spins in a full circle (360 degrees) when activated. Hanging toys help engage attention. The individual toys are removable and can be easily clipped onto other locations. The image in the star-shaped toys can be replaced with family photographs . These aspects are powerful for identity development and awareness of self. 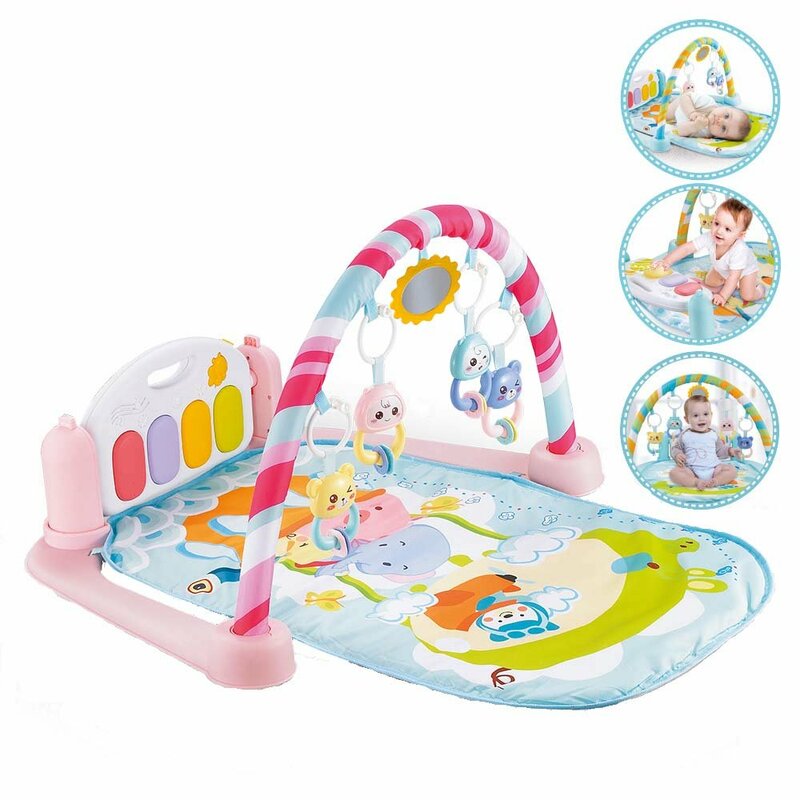 This play mat has so many bells and whistles, it's really several toys in one. The music is so sweet...beautiful, gentle lullabies, joyful music, piano songs and nature sounds...all very calming and pleasant. The overhead mobile has a spot for a picture of your family, and the projector shines pretty stars onto the ceiling, while rotating 360 degrees. It's also very cute that there are large keys for your baby to press, either by hand or foot. 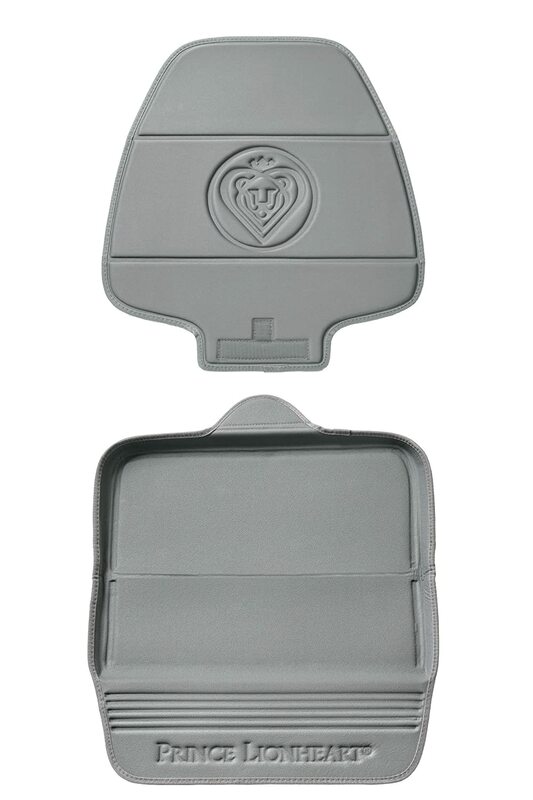 It comes in an attractive box, easy to wrap as a gift. 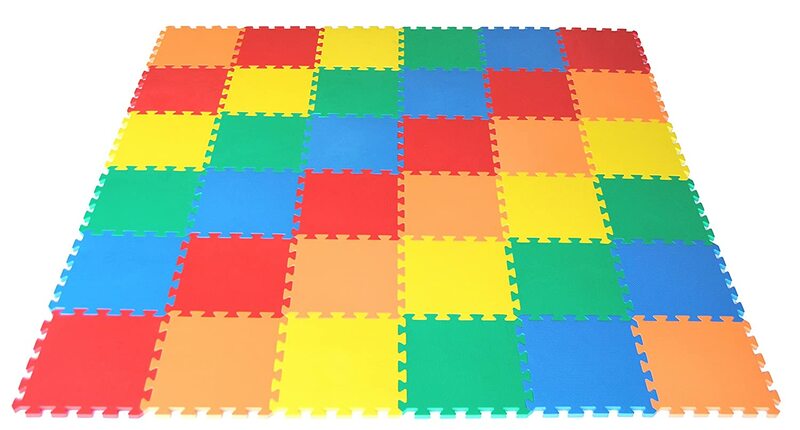 I've seen and used a range of different play mats. This one is high quality, and worth the price. I love the idea of this play mat. The whole outdoorsy theme is great. The mat is soft and high-quality. I love the lights, music and toy attachments. This is the best ever play mat I have seen. 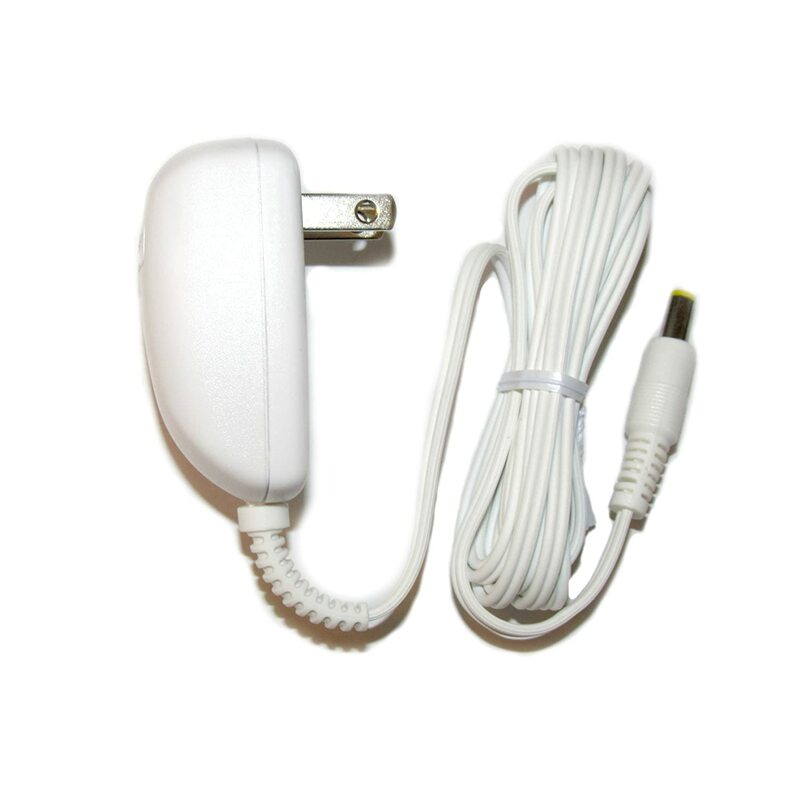 Great,quality addition to any nursery. 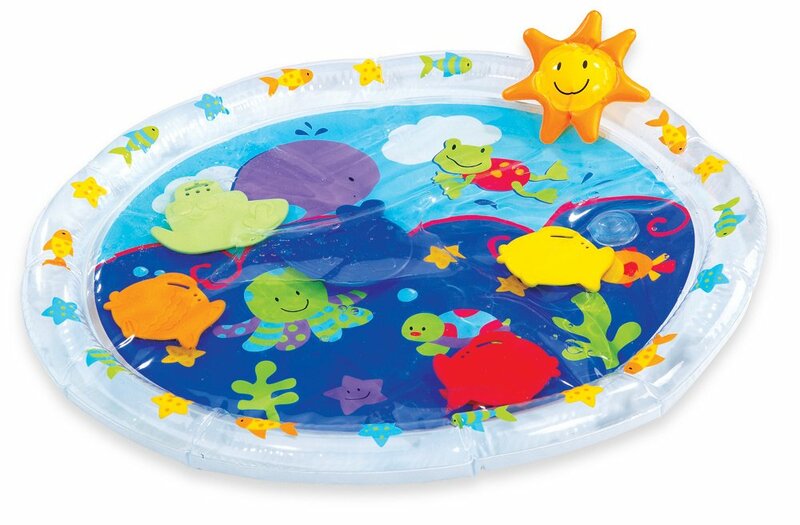 Has lots of ways to entertain a little one. Toys,music,lights and fun colors.Awesome purchase!